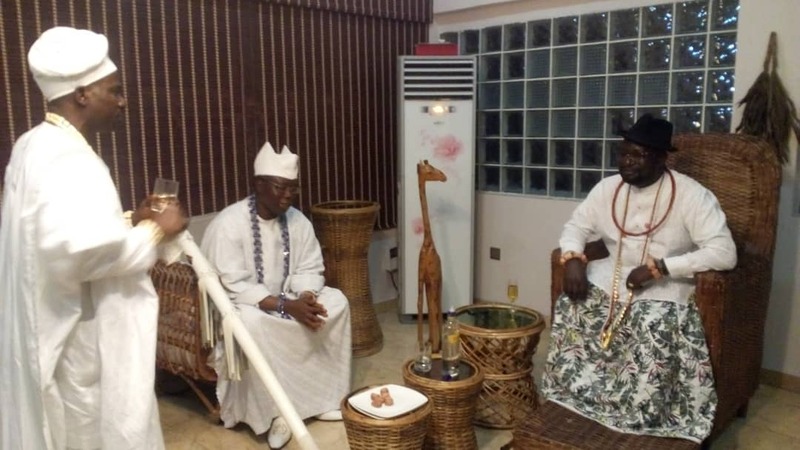 The Aare Ona Kakanfo of Yoruba, Chief Gani Adams, says Yoruba Race" don't take our relationship with Itsekiri lightly", adding," traces of Yoruba still reflects on Itsekiri people". Gani Adams who made the declaration Friday January 18 when he led a delegation of two Yoruba Monarchs and Chief on a courtesy visit to the Ologbotsere ( Traditional Prime Minister) of Warri Kingdom, Chief Ayirimi Emami, asserted that late Pa. Alfred Rewane " paid great price" for MKO Abiola. While noting that renowned Itsekiri historian, late Pa. J.O.S. Ayomike insisted that Itsekiris are descendants of Oduduwa, Gani Adams who is the 15th Aare Ona Kakanfo of Yoruba, stressed that they will keep agitating on the need for government not to suppress the teaching of history, so as to make upcoming generations know their roots. The fourth Ologbotsere of Warri Kingdom, Chief Ayirimi Emami in his response, stressed that late Awolowo stood for Itsekiris and Asiwaju Bola Ahmed Tinubu " is showing the same love and guidance to Itsekiri Nation". He stressed that Ologbotsere of Warri" must have the interest of Itsekiri Nation at heart", just as he stated that Yoruba and Itsekiri have a lot in common.